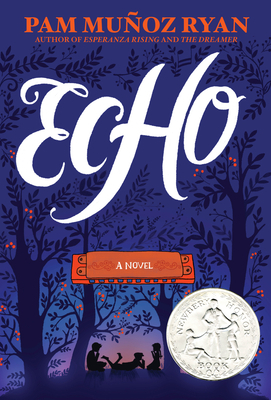 Echo is three stories of three musicians woven into a fairy tale of three sisters who must save a soul from death’s door. The stories and the fairy tale are connected by a harmonica. Friedrich finds the harmonica in Germany. The year is 1933 and everything safe in Friedrich’s world is falling apart. In the second story, the harmonica provides much needed hope for Mike and his brother Frankie, orphans in Depression-Era Pennsylvania. Finally, Iva Maria Lopez discovers her own musical talents in Southern California just after the US has entered World War II. Ryan does not shy away from the horrors infusing each of these settings: anti-Semitism, poverty, segregation, internment camps, fear, hatred. Nevertheless, each story is punctuated with music and with music comes the message of hope.